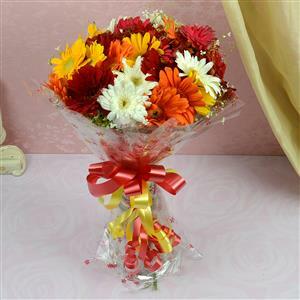 Send 24Pcs Multicolor Gerbera Bouquet to Chennai. Gifts to Chennai. Send Flowers to Chennai. Description : Product Specification : 24Pcs Multicolor Gebera Bunch.